In November 2013, the superior general of the Society of Saint Pius X granted an interview in French, which was recorded on video and posted at www.dici.org together with a complete transcript and an English translation. Bishop Bernard Fellay’s opening remarks are about the new pontificate. The arrival of a new pope can be rather like resetting our odometers to zero. Especially with a pope who distinguishes himself from his predecessors by his way of acting, speaking, and intervening and makes quite a contrast. This can cause people to forget the preceding pontificate…. It is certain that the first interventions of the pope have caused a lot of haziness…. The SSPX bishop cites the recent measures taken to discipline the Franciscans of the Immaculate (FFI) as an example of the attempt to “consign to oblivion” the liturgical restoration begun by Benedict XVI with the 2007 motu proprio Summorum Pontificum. According to Fellay, it is “useless” to argue that there is continuity between the pontificate of Pope Francis and that of his predecessor. The approach, the definition of the problems that affect the Church is not the same! This idea of introducing reforms that are even more extensive than anything that has been done thus far. In any case, you don’t get the impression that they will just be cosmetic, these reforms of Pope Francis! 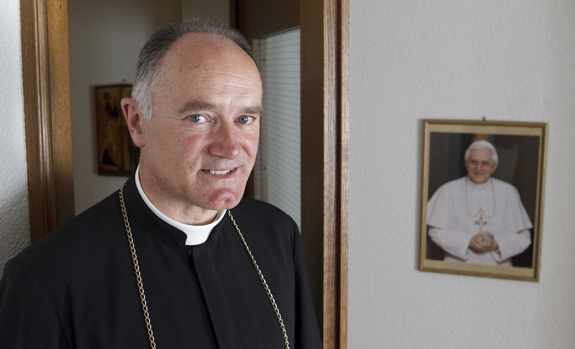 What has not changed, the SSPX prelate insists, is “the real situation of the Church,” which is “sickened by the lethal virus of the modern world.” The post-conciliar fault lines “remain the same,” he says, and those in power still repeat the party line: “The Council is a reinterpretation of the Gospel in light of contemporary or modern civilization—the pope has used both terms.” To Fellay, this is worrisome. I think that we should begin to demand very seriously a definition of what contemporary, modern civilization is. For us and for average mortals, it is quite simply the rejection of God…. We see it in the case of the European Union which in its Constitution refuses to acknowledge its Christian roots. We see it in everything that the media propagate, in literature, philosophy, art…. Then how can we reread the Gospel in that light? The duty of the Society of Saint Pius X, on the other hand, is to be true to the aims of its founder, Fellay said. 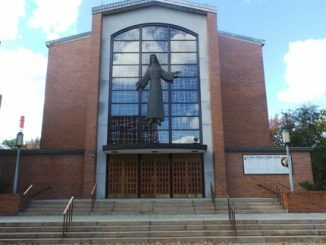 Its primary concern is truly what keeps the Church alive: the Mass…. The Mass really is the pump that distributes throughout the Mystical Body the graces merited on the Cross…. By taking care of this heart, we take care of the whole life of the Church. If we want a restoration of the Church, and certainly we do want it, that is where we must go. To the source, and the source is the Mass. Not just any liturgy, but rather, I mean to say, an extremely holy liturgy.